Like a setting out of a movie - Casa De Campo rises up over limestone cliffs overlooking stunning ivory beaches, crystal clear blue seas and stunning rolling hills and gardens. You have found your true golf vacation utopia. A place where you can let go of all lifes stresses and immerse yourself in true Island lifestyle. 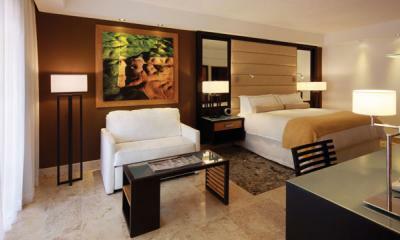 The Elite Hotel Rooms at Casa de Campo are highlighted by contemporary comforts and five-star hotel conveniences. 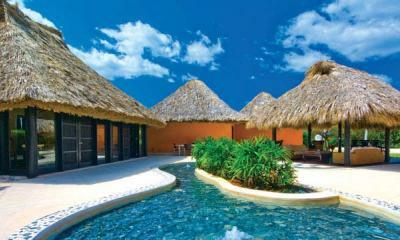 Here, guests greet each day with views of the peaceful Dominican Republic resort landscapes. 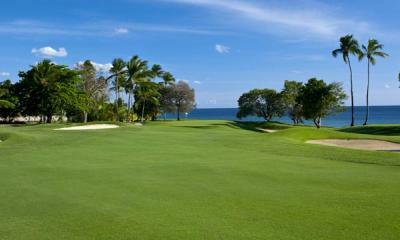 This calming influence remains… setting the stage for another 18 holes of golf on some of the Caribean's best courses. A moment of calm… then comes the swing . The ball soars over rolling fairways, cliff sides, ocean waves – searching for the green and that perfect moment of sinking the putt. Sand and sea, hill and valley, challenge and celebration… the thrill of the game reveals itself across three Championship Golf courses and 63 holes all designed by Golf Hall of Fame member Pete Dye. 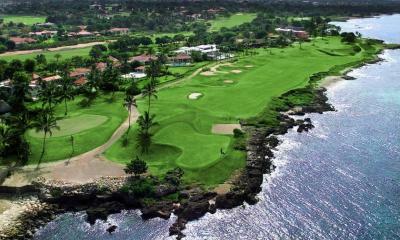 From the imposing coral shores and winding fairways of the Caribbean’s #1 golf course – Teeth of the Dog – to the craggy mountains of Dye Fore and the undulating hills and lagoons of The Links, Casa de Campo summons your inner champion. Teeth of the Dog: Ranked as the number one course in the Caribbean and 43rd in the top 100 courses, worldwide, by Golf Magazine, Pete Dye´s classic Teeth of the Dog attracts the best professional and amateur golfers in the world. Tricky shots such as a devilish dogleg and signature Dye obstacles captivate the world´s best. Toss-in trade winds courtesy of Mother Nature and "seven holes created by God," said Dye, who lays claim to creating only the other eleven, and you discover the magnetic force of this amazing course. Links Course: The beautiful inland Links course at Casa de Campo may not seem as exciting or challenging as its sea-side and cliff-hugging siblings, but don´t be deceived. 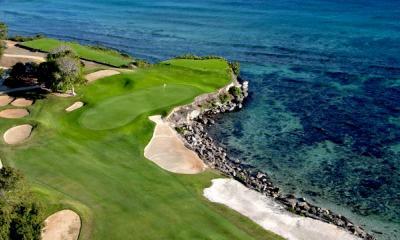 The Links is interior on the Resort property with spectacular views of the Caribbean and the Resort. 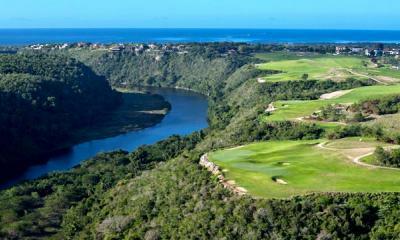 Its moderately hilly track, with tall bahia and guinea grass roughs plus multiple sand traps keep you on your toes. Thought by some to be reminiscent of traditional British and Scottish courses, there are several lagoons and even lakes with wading birds. There are five holes where water comes into play on this course making it a challenge unto itself. PLEASE CONTACT US FOR LARGER GROUP SPECIALS AND DISCOUNTS!